PLAYHOUSE is delighted to announce that Peter Pan will enchant Whitley Bayaudiences this summer, 5th – 7th August 2015. ABD Productions brings Peter Pan, The Musical that soars for two performances each day. Fire your imagination with this tale of a mysterious new found island, where fantastic adventures beckon. Peter Pan like its namesake is a tale which never ages. Children and adults alike have fallen under the spell of Neverland a place where, exciting frightening adventurous happen every day! This summer holiday, come and see the cast soar across the PLAYHOUSE stage when Wendy Darling and her brothers meet Peter Pan, mischievous Tinkerbell and the fearsome Captain Hook! This musical adaption is unsurpassed for its unique mix of music, spectacle and action. Details on the auditions for younger cast members are here. 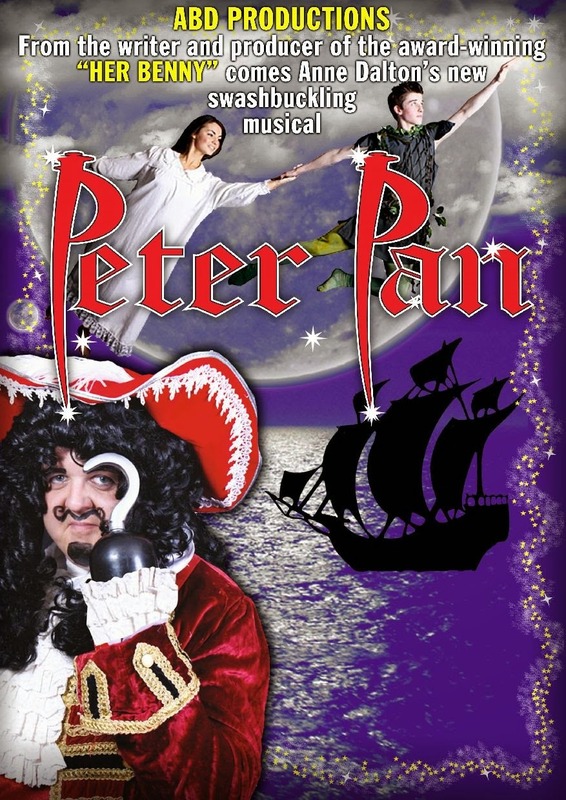 Peter Pan at Whitley Bay Playhouse from 5th – 7th August 2015 at 1.30 pm and 6.30 pm. Tickets are priced at £14, £12 conc.